16 oz Matte Finish Pastel Mugs. Our Challenger Matte mug is a contemporary best selling ceramic coffee mug that has a large, drinker friendly handle. Its size and shape appeals to every tea, coffee & hot chocolate lover. 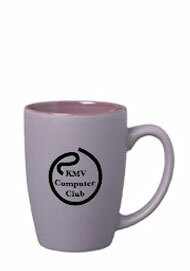 This challenger mug comes in unique matte sorbet colors that will add a sense of style to any event. These pint cups make great customized drinkware when the personalized mugs are given to customers or guests as a party favor.